Innocence and Mistakes: Have we had mistakes in Oregon? Innocence and Mistakes:(revised 2/6/13) At the time they were convicted, some more than once, the juries had no reasonable doubt that they were guilty. Some were re-sentenced two or three times before evidence of their innocence was found. 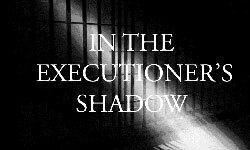 As of January 2012 none of those who have been sentenced to death in Oregon since 1984, when the current death penalty law was passed, have yet been found to be innocent. However, we have come perilously close. Six people were convicted of murder, or aggravated murder, and given sentences ranging from twenty years in prison to life without the possibility of parole. Christopher Boots and Eric Proctor were convicted of murder in Lane County in 1985 and sentenced to twenty years each. The evidence was thin and forensic evidence was later debunked. Most importantly, the person who committed the robbery and murder was identified. Released in 1994, after eight years in prison, Boots and Proctor settled with the City of Springfield for $2 million. Laverne Pavlinek implicated her partner John Sosnovske in the murder of a young woman whose body was found in the Columbia Gorge in 1992. Apparently she did it in order to escape an abusive relationship. The evidence shows she learned enough from news reports and information she gleaned from her interrogators to convince them of Sosnovske’s guilt. Sosnovske pled no contest in order to avoid a death sentence and received a sentence of life without parole. Pavlinek was also convicted of murder and given a life sentence. Their case fell apart when Keith Jesperson, the “Happy Face Killer” who was in prison for other murders, confessed and gave information that only the police knew. Sosnovske and Pavlinek were released in 1995. Santiago Ventura Morales was sentenced for the murder of another Mexican man in 1986. There were problems from the beginning; the county had no interpreters who spoke Ventura’s Mixtec dialect and he could not understand or cooperate in the investigation and trial. Most concerning, however, was that another person had confessed to the crime. Jurors, who had convicted him, almost immediately expressed doubts but it took a lengthy investigation by private citizens to identify the murderer and convince the authorities Ventura Morales was innocent and should be released. Ventura Morales was released in 1991. Phillip Scott Cannon was convicted of aggravated murder and sentenced to life without the possibility of parole in 1999 for the murder of three people in Polk County. He maintained his innocence throughout his trial, the eleven years he served in prison, and through his ultimate release. Testimony from witnesses who had been at the murder scene to purchase drugs said that Cannon had acted “strangely” and from the owner of the property who later served time for a subsequent murder apparently carried weight. However, the strongest evidence came from a forensic technique called “bullet lead analysis.” This technique, then suspect and now completely repudiated by the FBI, purported to match the lead from crime scene bullets to the batch in which they had been manufactured. If a defendant had bullets from the same batch in his possession, it was considered that proof had been established. In spite of the technique being under suspicion at the time of Cannon’s trial, the prosecution used it to convict him. The courts finally recognized there was no evidence to sustain a verdict of guilty and Cannon’s conviction and sentence were overturned in December 2009. It was subsequently found that the District Attorney’s office had lost or destroyed all of the original trial evidence. The unreliability of the original witnesses and the lack of investigation of other available witnesses who could have refuted the prosecution evidence cast doubt on the truth of Cannon’s conviction. He could have received a sentence of death. Fortunately he was given a sentence of life without the possibility of parole making it possible to reexamine his case before he could be executed. Of the 37 people on Oregon’s death row presently, six have had their convictions overturned and are awaiting re-trial. The main reasons have been mistakes made by judges in their instructions to juries, lack of adequate legal defense and competency of the defendant to assist his defense team. A great number of the convictions and death sentences have been overturned during appeals. Death penalty supporters insist that the system in Oregon has made no mistakes because no death sentenced person has been exonerated. It is only through pure luck that this has not happened. Oregon does not need the death penalty – it is too risky and an execution cannot be undone. From 1976 through January 2012, 142 people from 26 states have been released from death rows around the nation, having been found innocent of the crimes for which they were sentenced to death. Of the 142 exonerated, 72 are Black, 13 Latino and 2 other people of color. That total of 87, represents 61% of the 142 total.